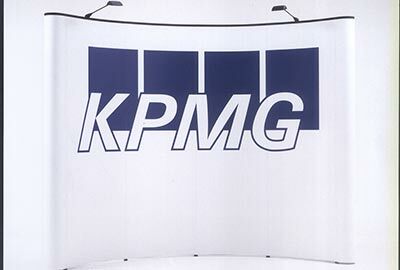 Pop up stands are one of the cost, time and labour efficient ways of creating a large, impactful backdrop to showcase your company and communicate key offerings and messages. 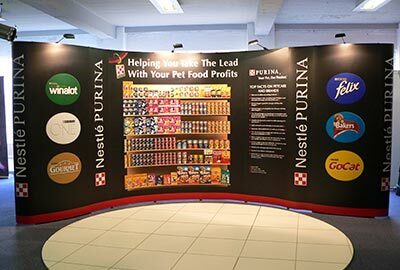 Integrating stunning, seamless graphics, pop up exhibition stands turn heads and offer a welcoming space for you to interact with your exhibition visitors. We’re always happy to offer our advice and help to get you the design and style that’s right for you – we even have our own in-house graphic designers, large format printing facilities and trained installers all ready to help if required. 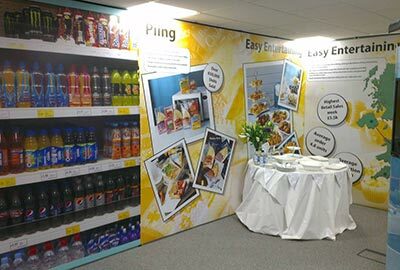 What do you get with our pop up exhibition stands? 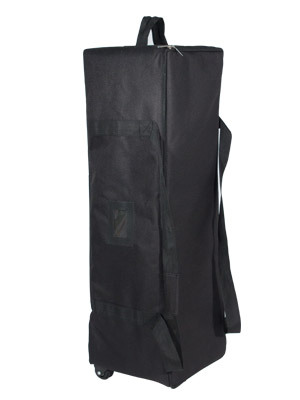 How do pop up stands work? 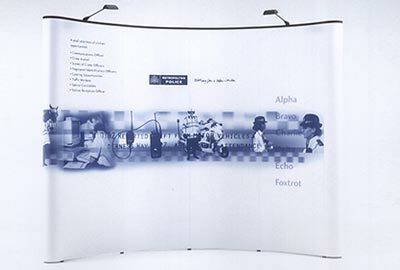 A pop up exhibition stand is made from lightweight materials in a cross braced system; this 'pops up' into a large framework yet concertinas down for transportation. Special bars are inserted into the frame to add strength and stability to the structure. 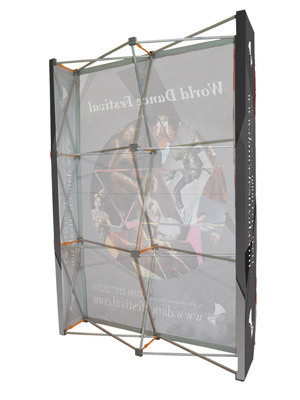 Pop up graphics with 'hangers' at the top are attached to the framework using locating hanging pegs at the top of the frame. Magnetic tape down each rear side of the graphic panels allows you to position the panel perfectly on to the magnetic bars. 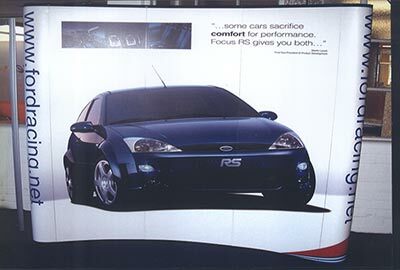 Graphics can be attached the front and rear of a pop up stand, as well as to the ends, to create a completely seamless graphic area. 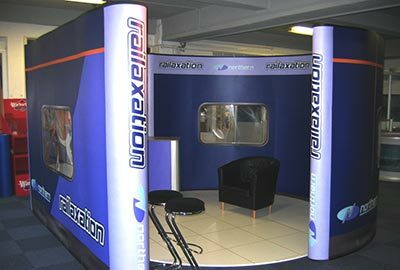 With a bit of imagination and with our assistance, you can use pop up stands to construct larger and more complex designs. 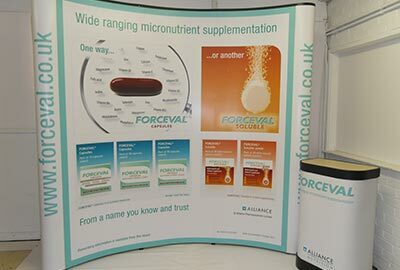 Pop ups allow for greater flexibility in size and shape and you can link frames together easily using magnetic bars or simply by bridging a gap using a linking graphic panel. 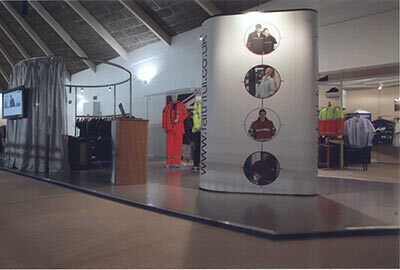 If you have products to display we can add showcases, for key messages there are walk under banner bridges and for anything you need to hide away, we can add storage areas. 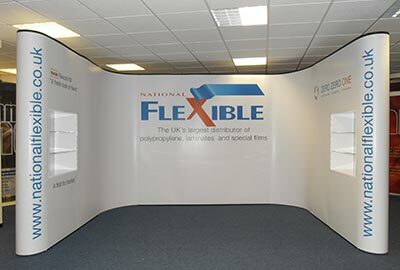 Let our designers show you just how flexible a pop up can be! 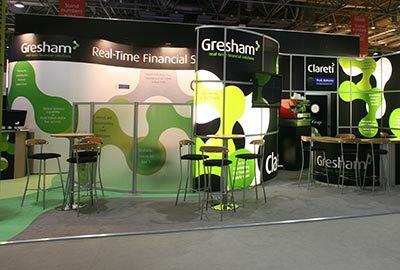 Our designers will help you to create a really inviting exhibition stand space with the WOW factor simply by adding a platform floor with a carpet or vinyl cover that accentuates your company branding. We have a fantastic range of hire furniture and accessories available, such as bar tables and stools, comfy chairs and coffee tables, reception counters of various sizes and shapes and literature racks. 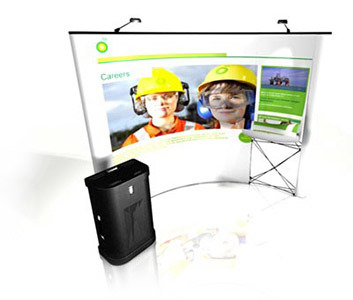 You’ll be amazed at how different your simple pop up stand will look in a stand space that has been carefully thought about and designed. 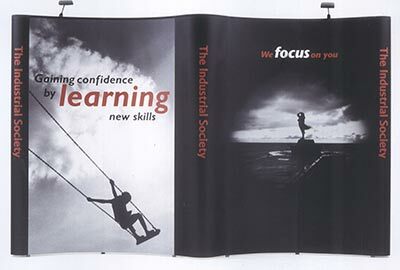 At Warrens Display we offer a custom design and print service for all your exhibition stand graphic requirements. We will interpret your brief and ideas and turn them in to something impactful to make your graphics really grab visitors’ attention. 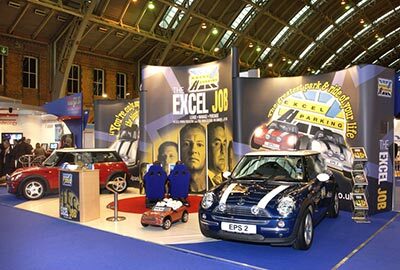 We also offer a lightweight hop-up system that’s very quick and easy to set up, creating a superb backdrop to your display. Stretch fabric velcros to the hubs and fits smoothly across the frame work. It even stays in place once the frame has been collapsed.